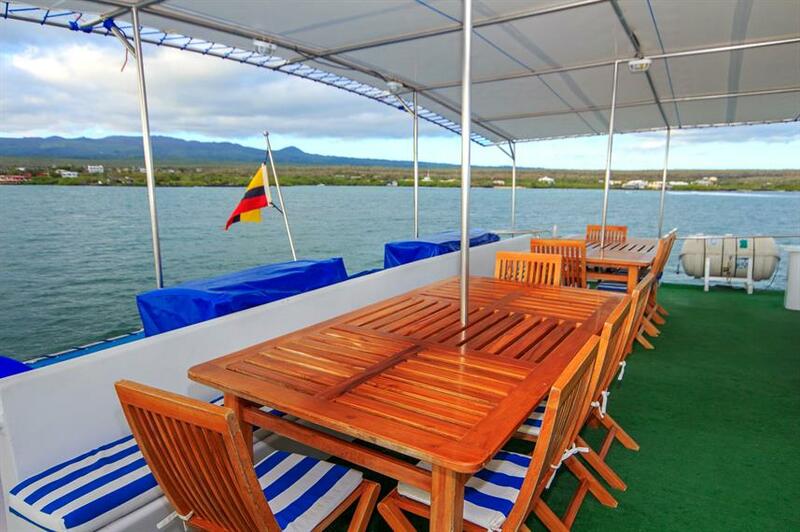 Take a small ship cruise in the Galapagos Islands with the Archipel II Catamaran. 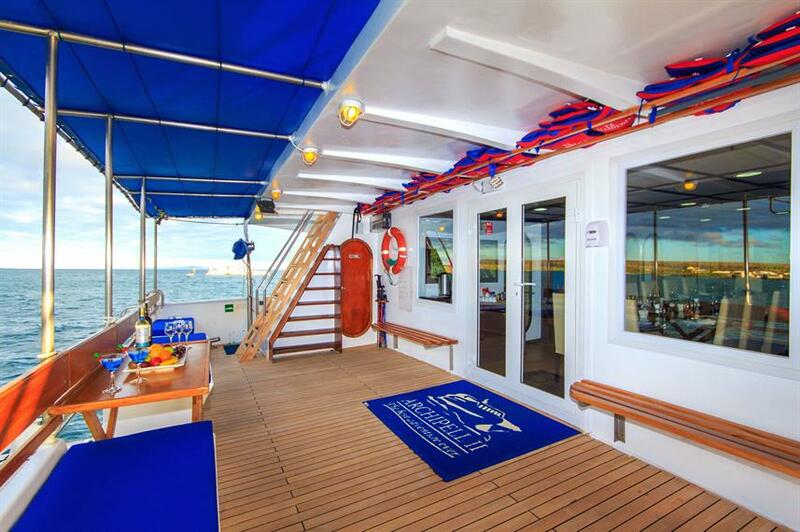 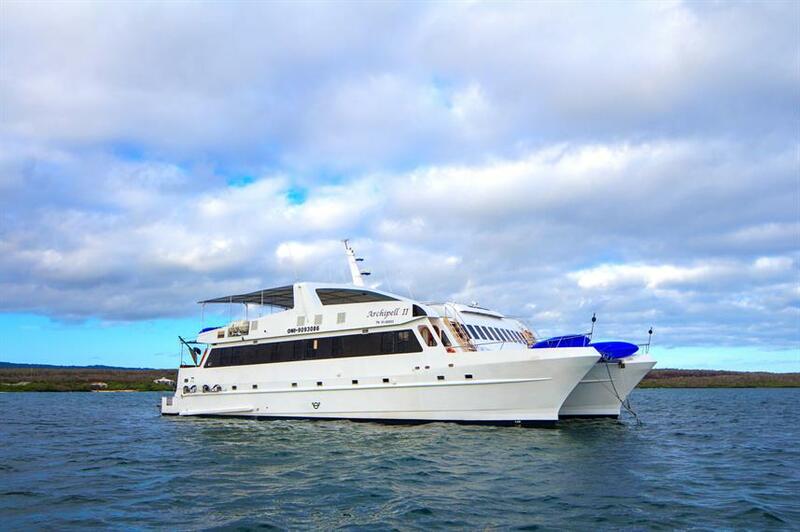 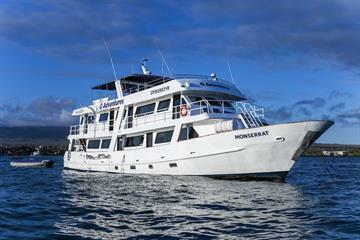 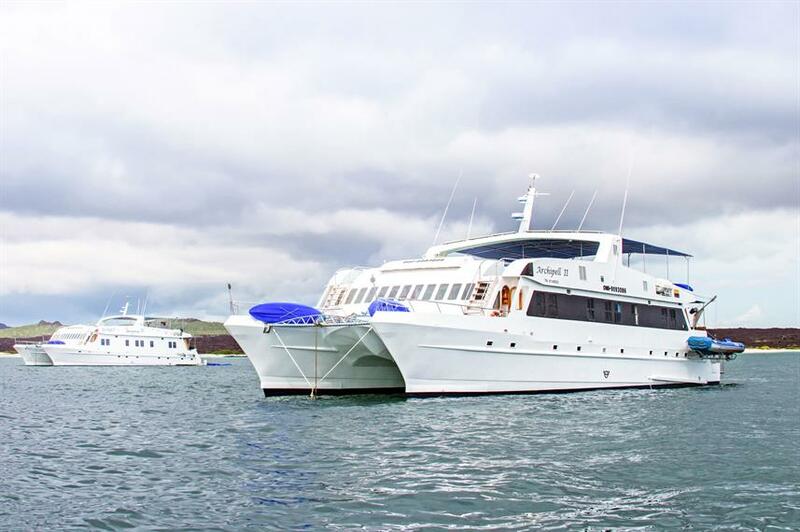 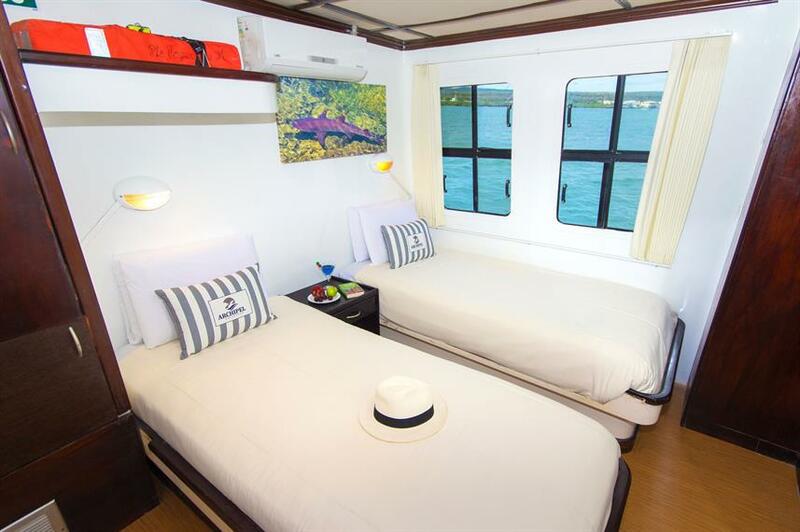 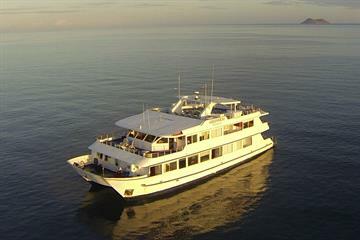 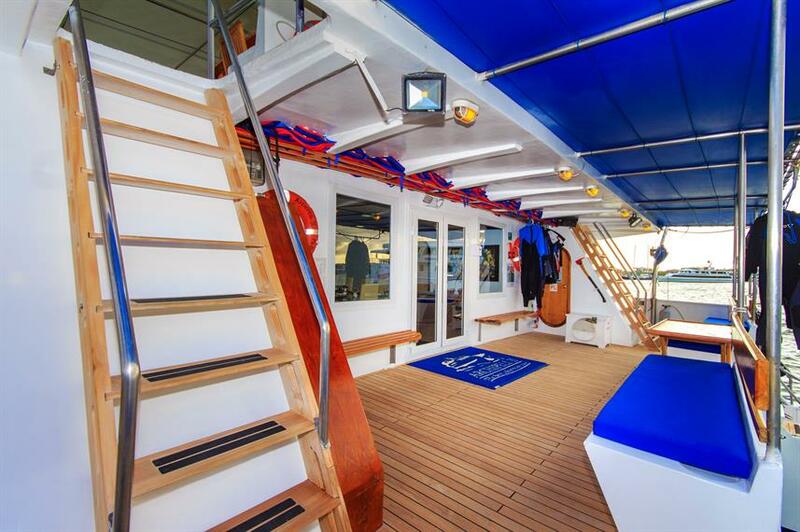 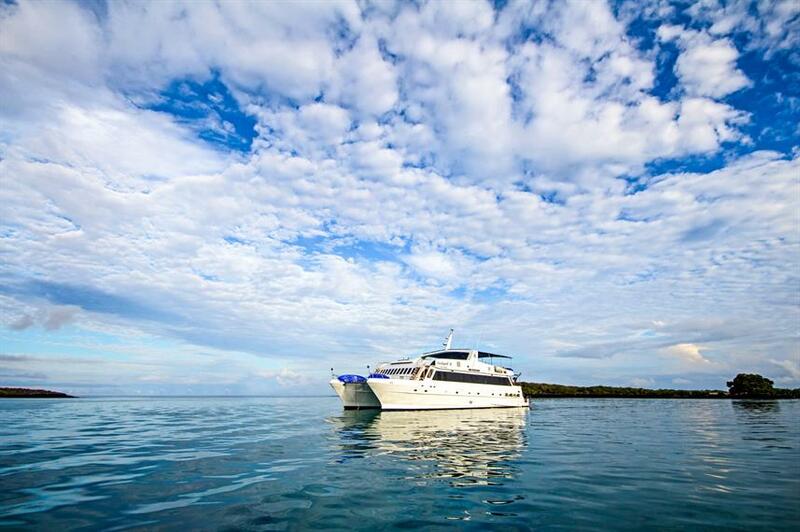 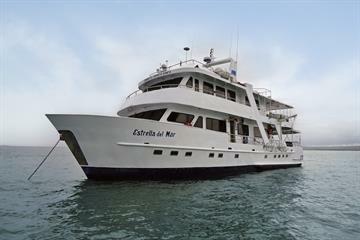 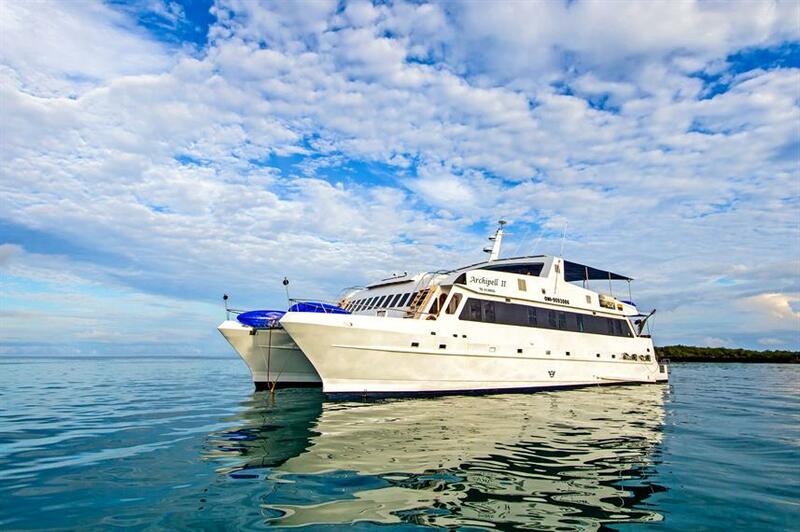 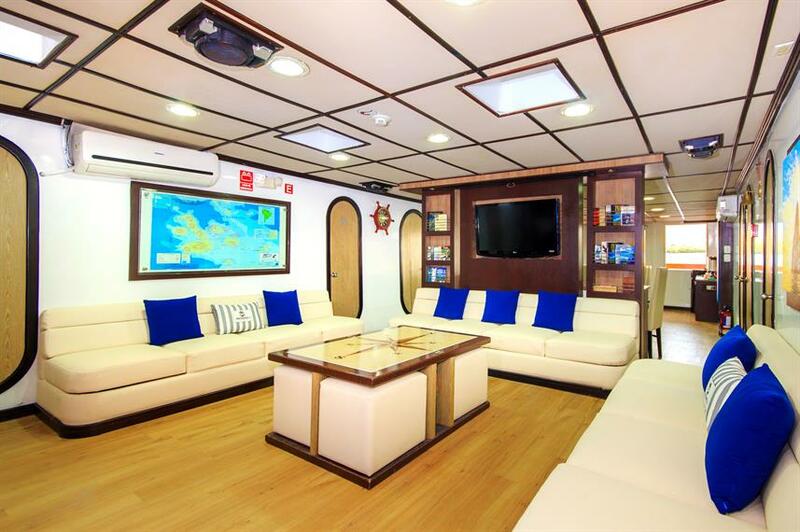 This 27m vessel was built to explore the Galapagos area and is incredibly stable offering more comfort on board. 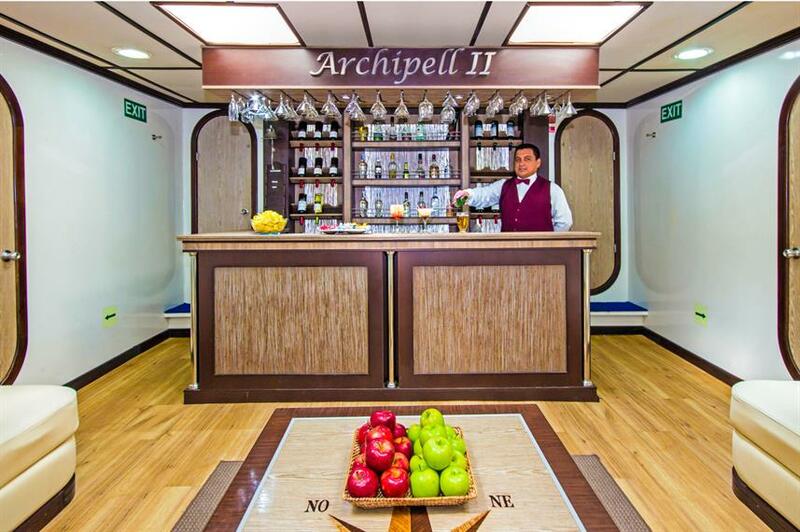 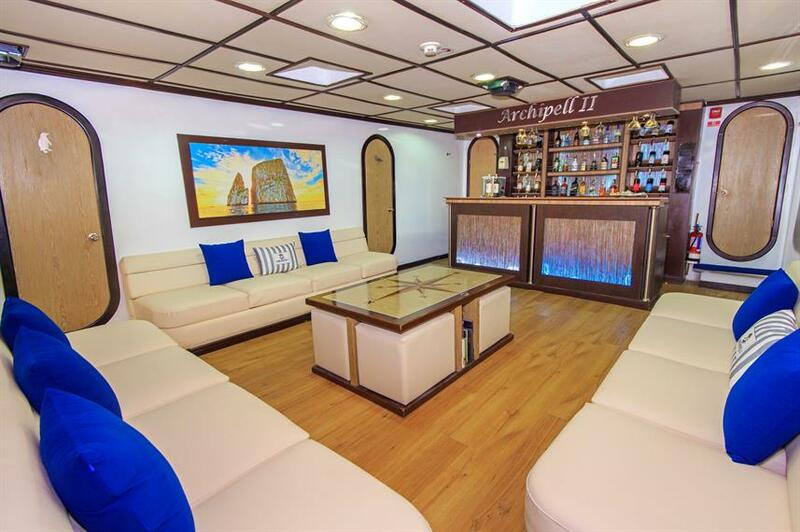 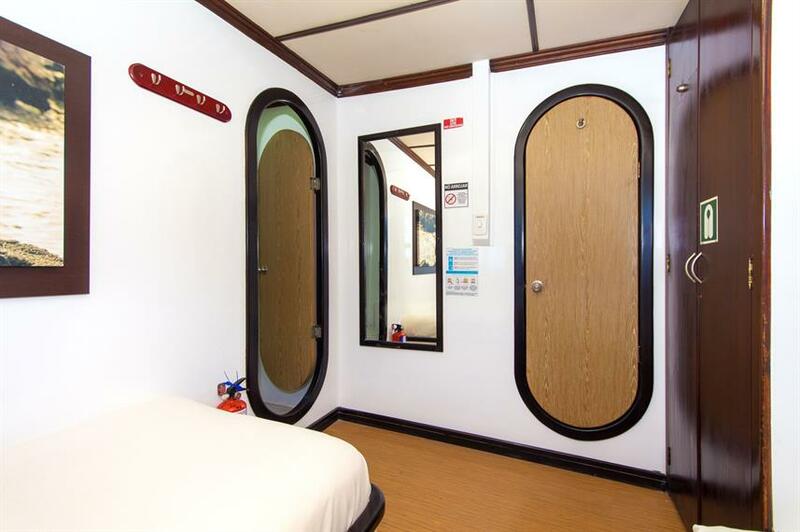 Archipel II offers 8 cabins to cater to a maximum of 16 guests on board. 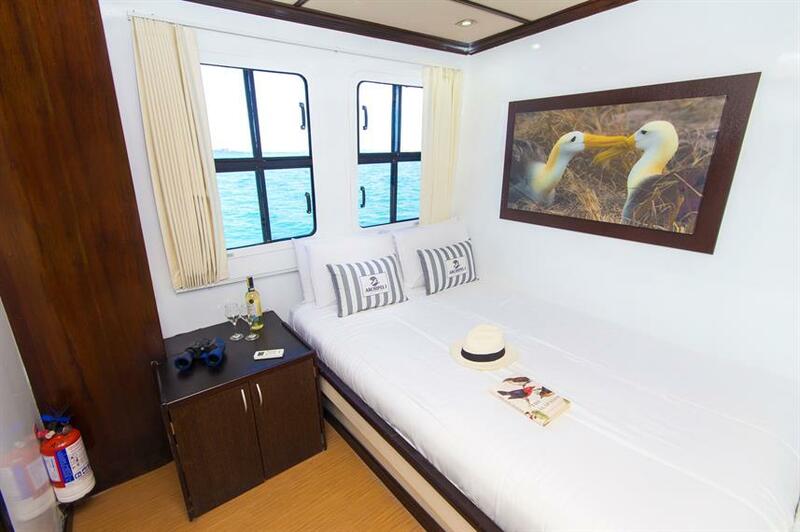 Each cabin is fully air-conditioned with en-suite bathrooms with hot water, stunning ocean views, reading lights and wardrobe space for ample storage. 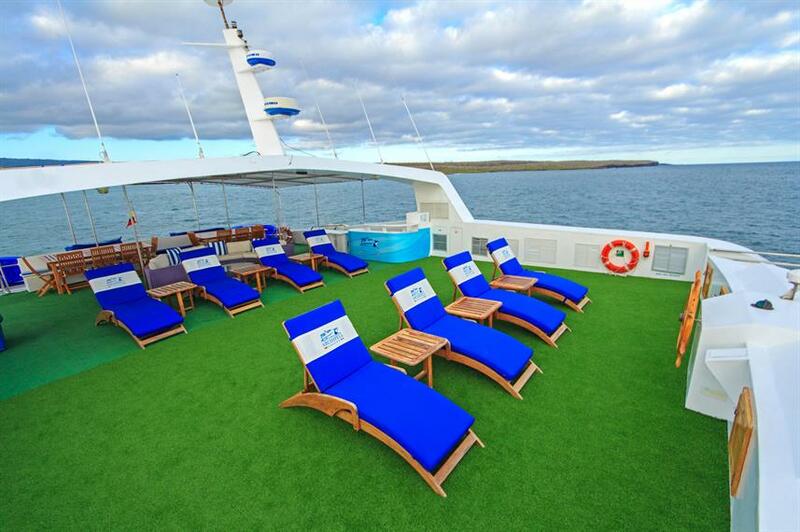 For relaxation, guests can use the sun-loungers on the sundeck whilst enjoying the sea-breeze and stunning Galapagos views. 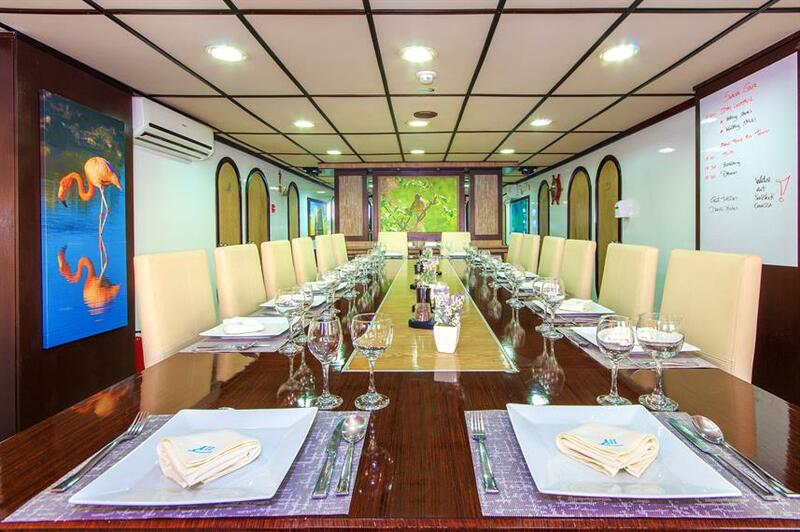 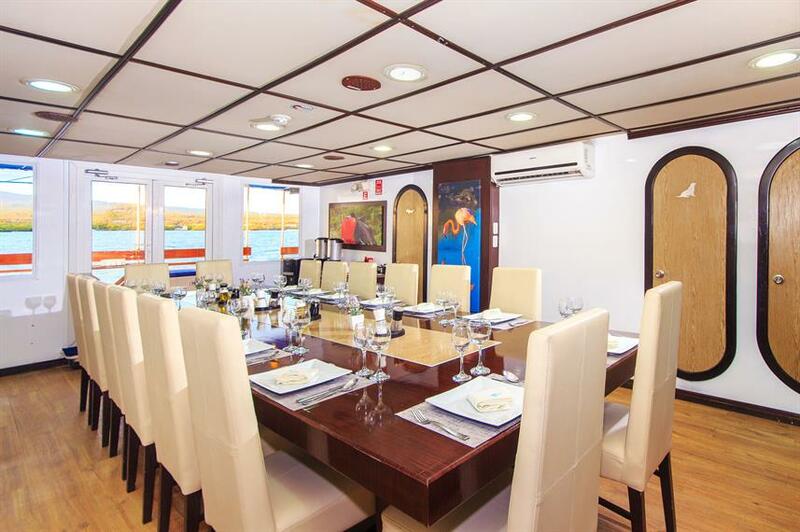 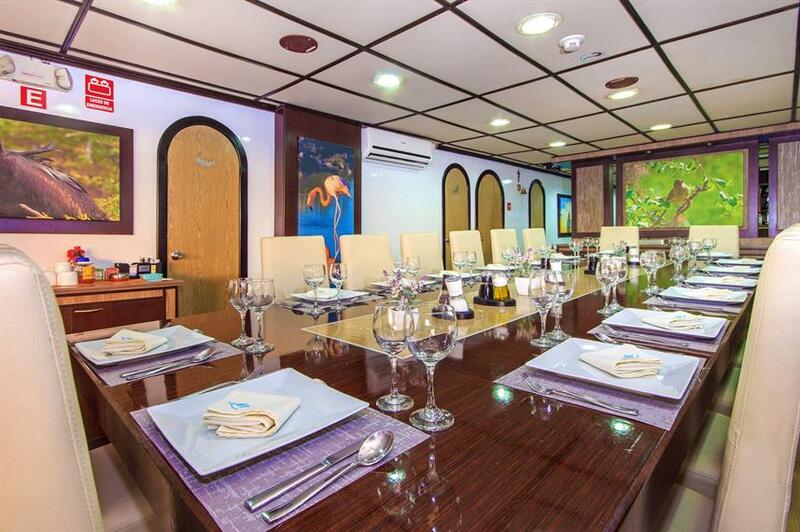 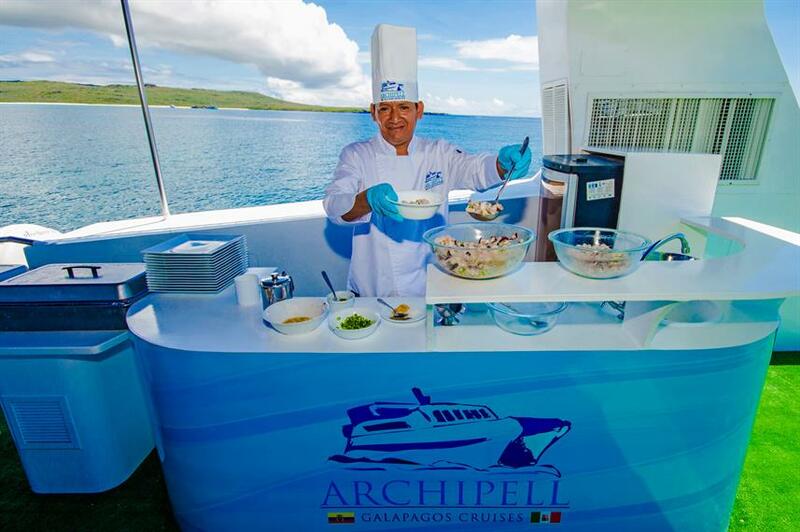 Meals are served buffet style either in the indoor dining area or al-fresco on the top deck, and a wide variety of dietary restrictions can be catered to with prior notice. 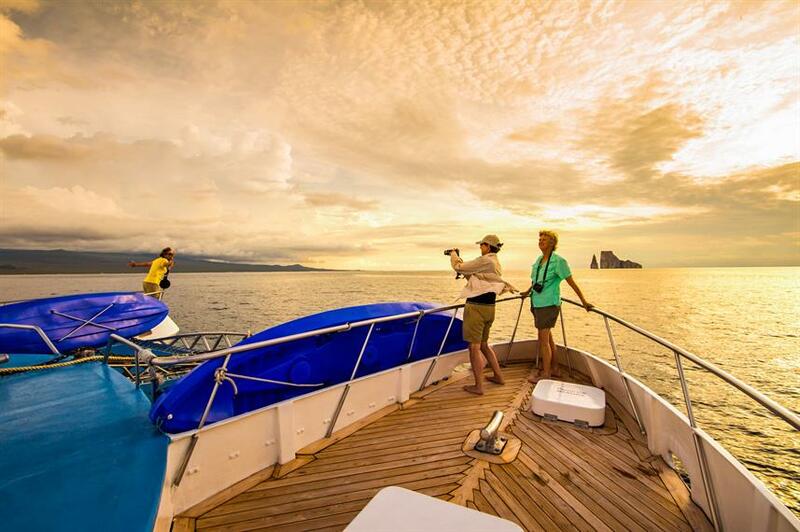 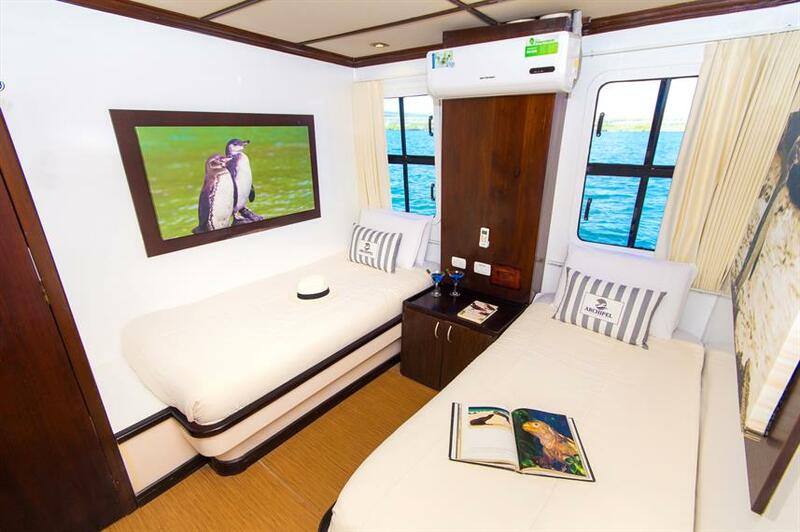 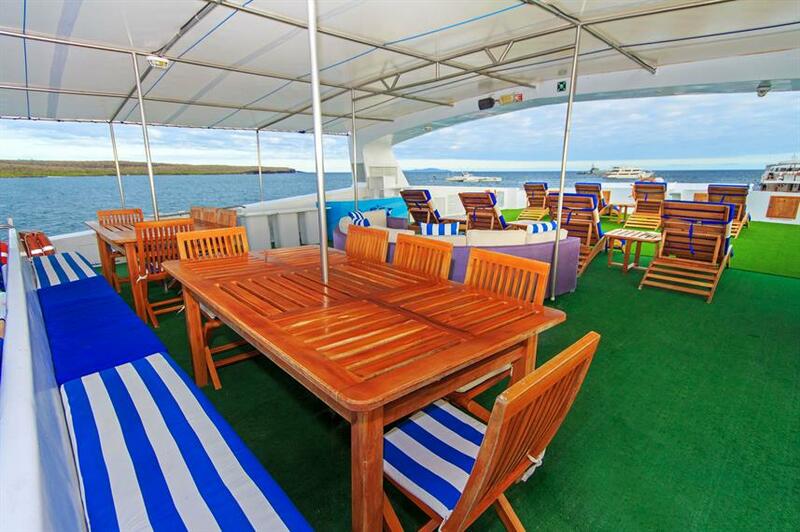 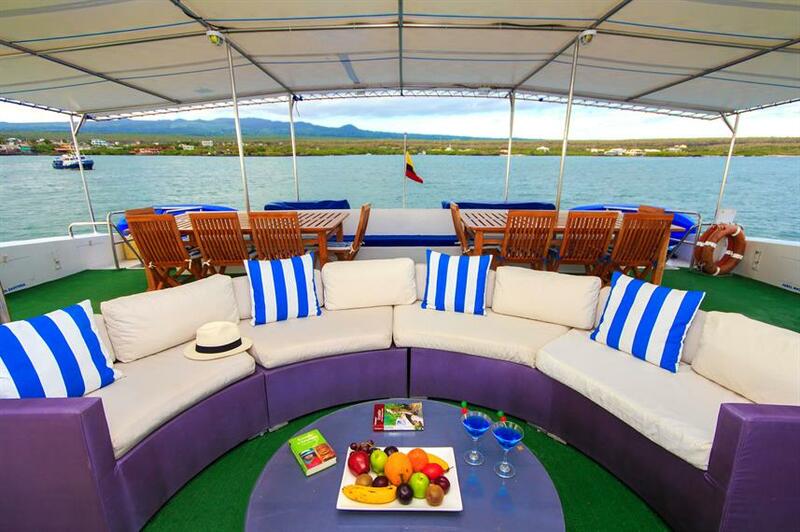 Aboard the Archipel II Catamaran guests can experience the Galapagos Islands at their best. 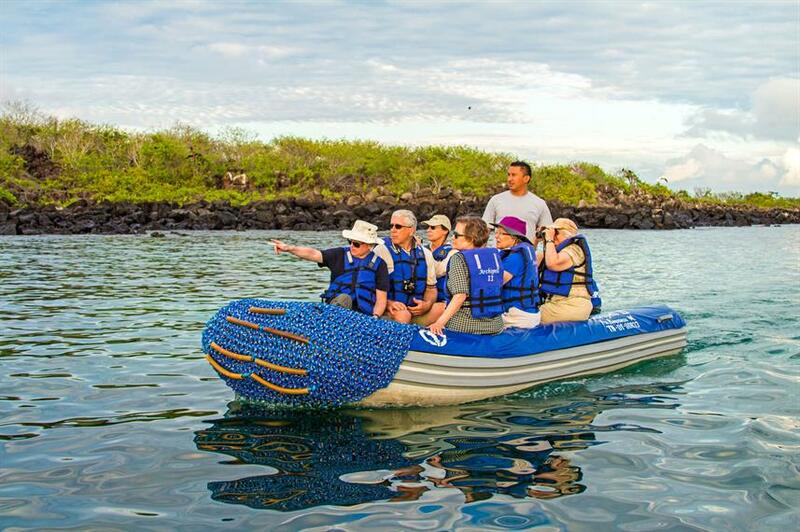 Visit the volcanic area of Punto Moreno, where you will find flamingos and little dwarf penguins or visit the mangroves, Isabela Island with sea lion colonies and the Charles Darwin Research Centre to see the Galapagos tortoise. 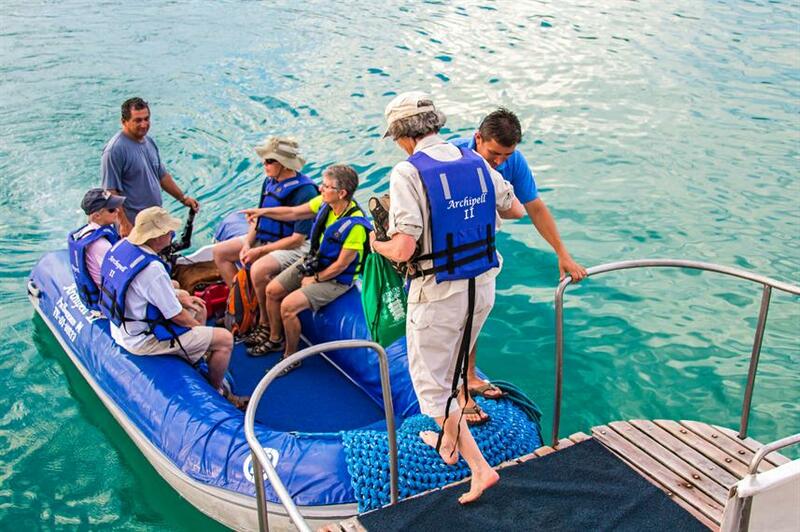 Whichever itinerary you choose, the multilingual experienced naturalist guide and 9 crew will be on hand to make sure this is a trip of a lifetime. 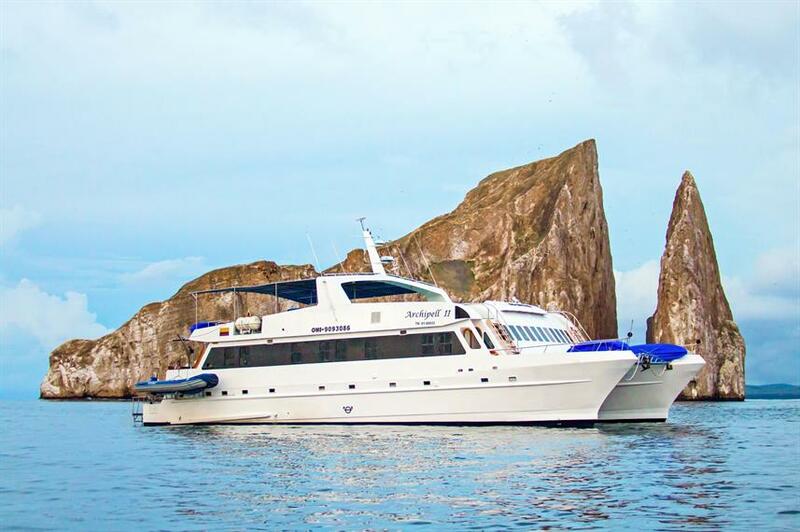 Call us or book online today to reserve your space and start planning your Galapagos adventure cruise. 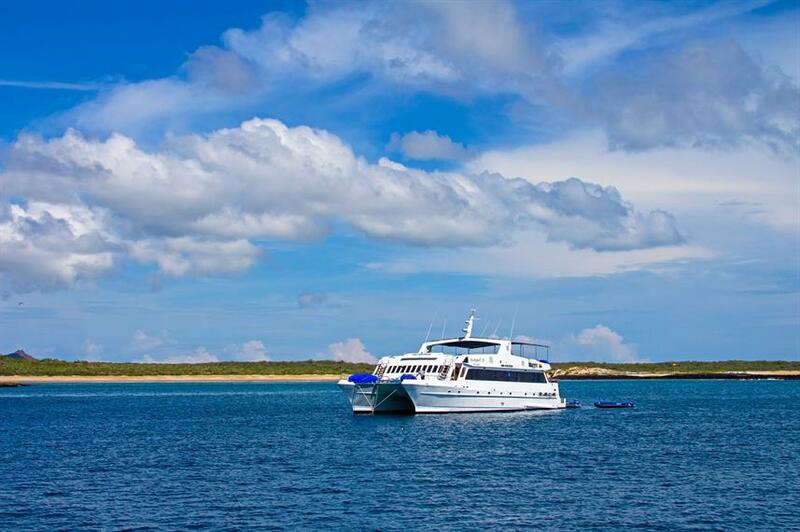 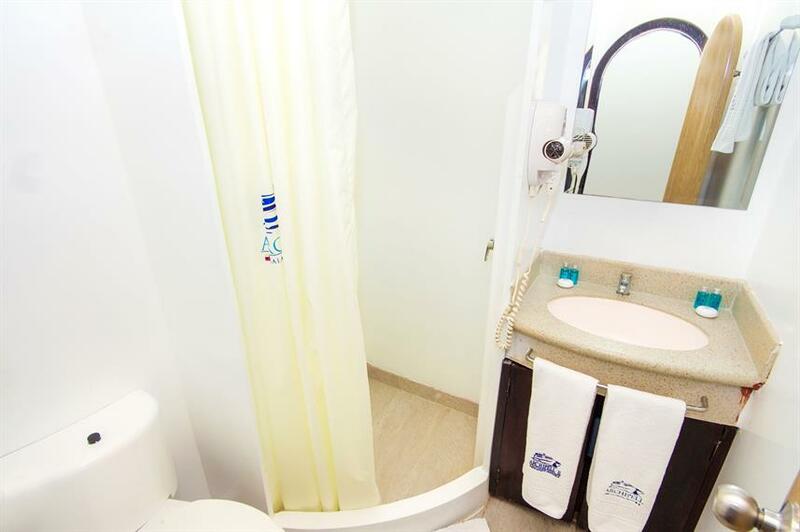 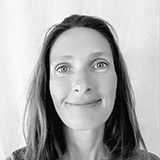 Included: VAT, Airport Transfer, Drinking Water, Soft Drinks at Meal Times, Tea & Coffee, Welcome Cocktails, Full-Board Meal Plan (All meals), Snacks, Kayaks, Land Excursions, Naturalist Guide, Snorkeling Guide, Cabin Towels, Complimentary Toiletries. 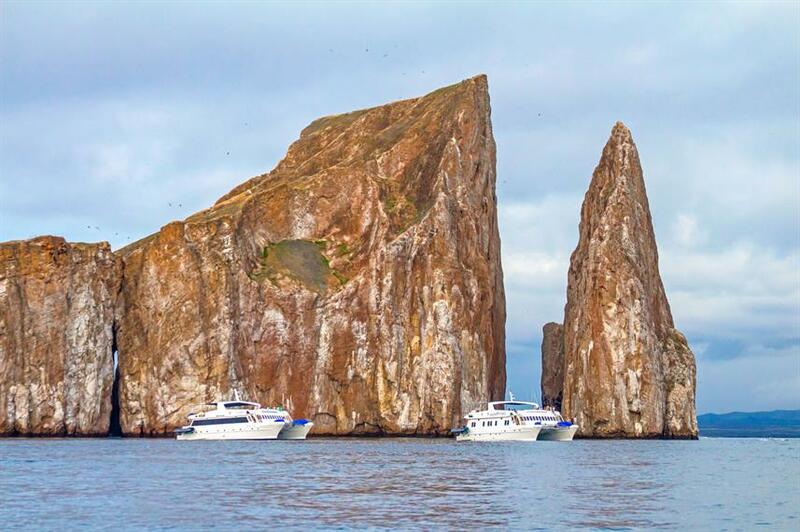 Required Extras: National Park Fees (120 USD per trip). 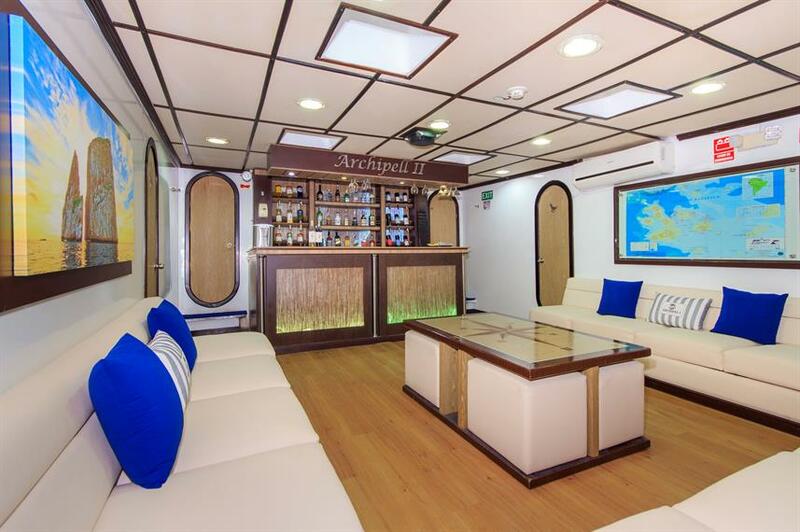 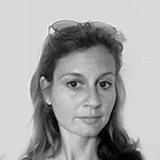 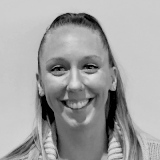 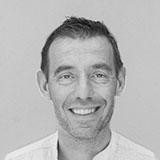 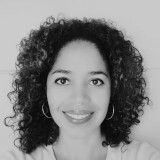 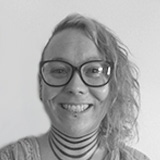 Optional Extras: Travel Insurance, Gratuities (5-12 USD per day), Local Flights (500 USD), Alcoholic Beverages, Alcoholic Drinks at Dinner, Soft drinks, Wine with Dinner.